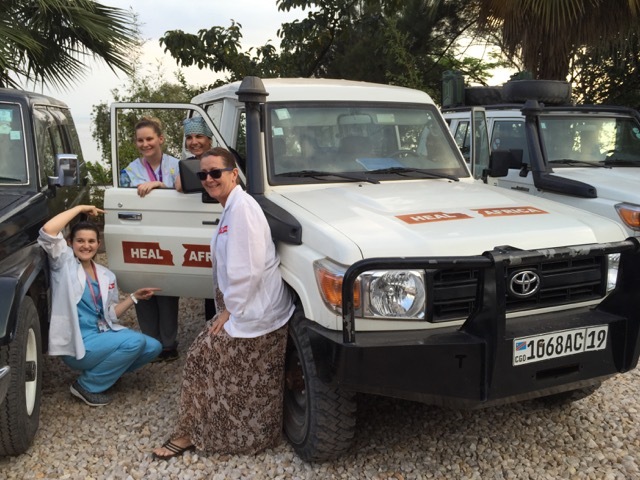 We have come to the end of another busy week at HEAL Africa Hospital [HAH] for the AusHEAL teams. 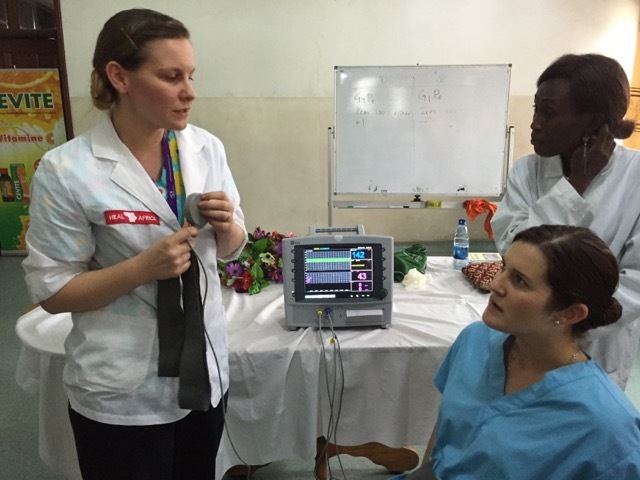 On Monday Naomi Alexis (mid-wife) conducted a teaching session on CTG (monitoring during labor) for doctors and nurses. The pressure was on her as this is the first time she has lectured to a room full of doctors. Kirsten Zeiher acted as the patient for a demonstration. Jill Cranswick also did some more teaching in the operating theatre. The nursing team conducted a very educational session on Resuscitation for the HAH nurses complete with cardio-pulmonary resuscitation to the tune of “Stayin’ Alive”. Not surprisingly the Congolese staff with their amazing rhythm really enjoyed that session. 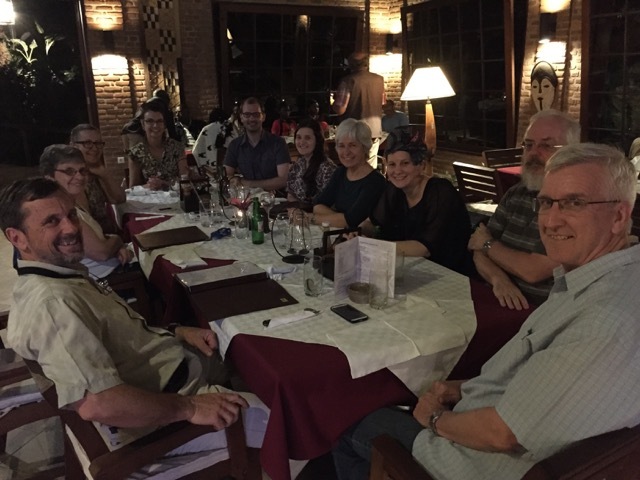 Tuesday night the team were to celebrate their trip with a visit to a local restaurant and while that did occur, it was delayed as Cheryl Brooks (who headed up the nursing team) and Neil Wetzig did a live radio interview on local radio station Kivu1 FM 88.6. This involved an opportunity to let Goma know about AusHEAL, why Australians come to teach and train others at HEAL Africa Hospital, and to explain that these repeated visits align with the AusHEAL ethos of working with a strategic hospital to create sustainable change – in this case not only at HAH but also for the wider North Kivu province as health personnel from outside HAH have been invited to sessions. Interestingly Cheryl was also called on to teach resuscitation on evening radio in quite some depth! 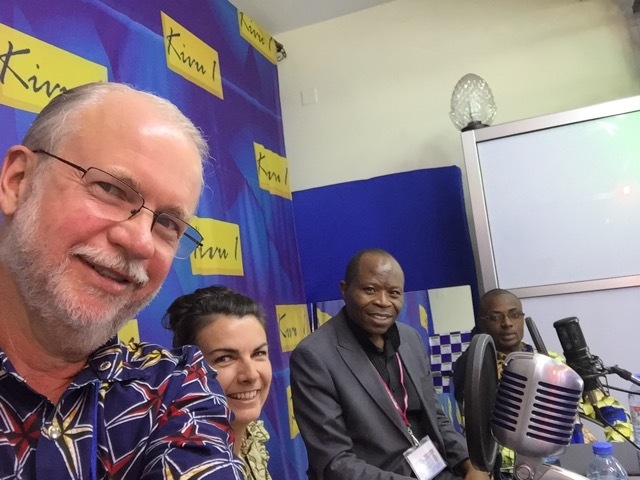 It was all then translated into French and Swahili by Dr Luc Malemo, the HAH Medical Director and Sylvain, the HAH Assistant Director of Nursing. The nursing team were saddened to farewell their Congolese colleagues on Wednesday and left for Australia on Thursday morning after what has been one of the most productive nursing visits to HAH. Surgery continued with a number of difficult cases and more continue to be admitted. There is such a need for training and 2 cases exemplify this. A 32 year old woman who gave birth via Caesarean section in a village clinic 4 months ago presented to the hospital this week still with urine leaking from her abdominal wound. It seems that her ureter (tube between the kidney and bladder) was damaged at the Caesarean and despite 4 more operations in the village the problem has still not been fixed. A 55 year old lady presented yesterday with a mass in her abdomen and haemoglobin of 5 (very anaemic). 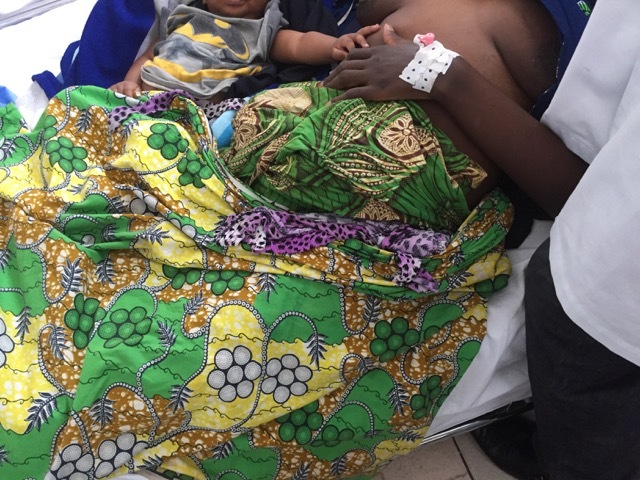 The problem is that she had an operation for the mass 3 months ago in a small ‘clinic’ in Goma and nothing else was done but open and close her abdomen and leave her to her own devices! All too difficult it seems. 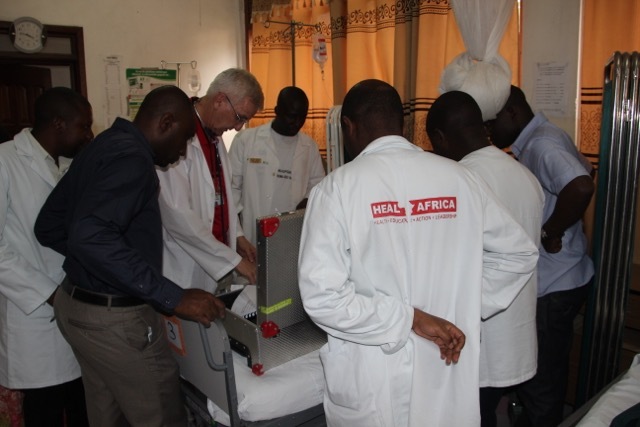 This is why AusHEAL and HAH are partnering to try and lift the standard of surgical care in the area. Dr Darryl Burstow (AusHEAL cardiologist) has continued his work alongside HAH physicians Drs Albin and Serge. He is performing echo-cardiograms and ECGs as well as assisting with their general medicine skills, ably assisted by GP trainee Dr Ryan Williams. Ryan’s mastery of the French and many other languages is of great assistance to us all. Dr Graham Zerk has continued working in the Emergency Department and keeping an eye on the ICU. 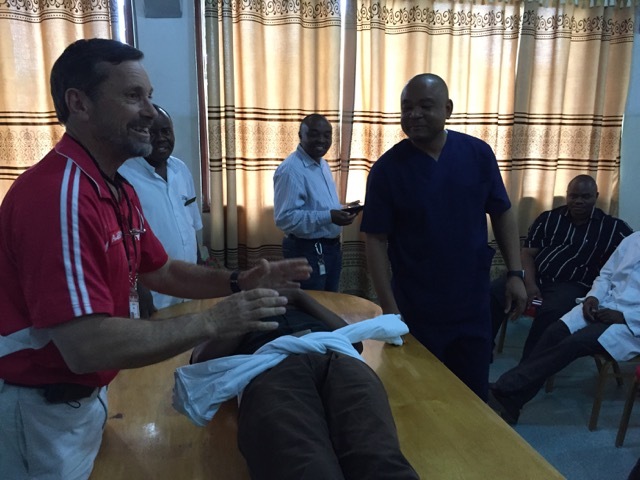 He conducted a very successful teaching session on an update of trauma resuscitation for the doctors on Friday, in particular on pelvic fractures, penetrating neck wounds and resuscitation, assisted by Dr Neil Wetzig. – all on the back of the AusHEAL Workshop that we conducted on ‘Being Organised” last weekend. A surgical meeting on organisation of the operating theatre occurred after this. It seems as though many of the principles taught at the workshop have been taken on board. The strained financial situation of the hospital is a good motivating factor to be more organised, so some things in hospitals do not change irrespective of where it is in the world. We have also had more rain this week in particular some quite large storms. So much so that the house windows shook one night. This has however settled the dust. The team is looking forward to a quieter weekend after the busy one with the workshop last week. Just to remind us of where we are, we have seen General Boscoe Ntaganda, a former leader of the M23 rebels who terrorised North Kivu and took Goma captive in December 2013, appear in the International Criminal Court this week. Word has it that he used to live not far from Maji Matulivu where we stay. At the same time another milita leader turned himself in to the Congolese army in Goma last Saturday and yet another milita leader was killed by the Congolese army with UN support outside of Goma last weekend. This explains why there has been activity occurring at the army headquarters directly behind the hospital and the UN gunship flying low over the hospital and Maji in the past few weeks. Goma however is very safe and ‘quiet’.